Join us this Friday 11/25 for our Black Friday event. Tee times starting at 7am. 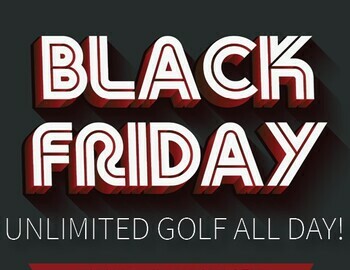 Unlimited golf for $19. What a deal! We've got hot dog meals for $5 and all of our beers are $5 for 16oz and 24oz selections. Hope to see you this Friday.